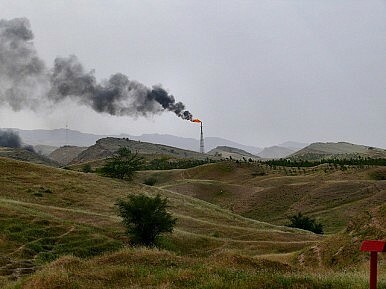 Energy-hungry, US-friendly Asian nations are left in an awkward position as US pressure on Iran increases. Last month I wrote about Japan’s push to forge new energy ties with the key South American trading bloc, the Common Market of the South (MERCOSUR). Of the many factors influencing Japan’s energy security decisions – including Fukushima and the Arab Spring – one of the most important is the set of UN Security Council sanctions over Iran’s nuclear programme, which continue to inhibit the smooth flow of crude from Tehran to Tokyo. It seems that Japan isn’t alone in this regard. Strong sanctions against Iran have effectively trapped billions of dollars of the country’s oil revenues in various banks across the world. South Korea is another energy-hungry country in Asia that depends on its ability to export its products overseas. Seoul relies on Iranian crude for nearly 10 percent of its oil imports. According to a Reuters report last week, South Korean government officials have indicated that Korean banks have almost 4 trillion won (approximately $3.82 billion) in funds from Iranian oil purchases that have been repatriated as a result of UNSC sanctions. And South Korea isn’t the only country dealing with complications in its energy commerce with Iran. The Indian government has also been trying to find breathing room around the sanctions to ensure that it can continue to import Iranian oil. New Delhi has reportedly amassed a staggering $5 billion oil debt largely due to its inability to pay the Iranian government through international transfers. While the trapped oil money remains Iranian property, it will be difficult to access without the removal or easing of UNSC sanctions or the unilateral flouting of these punitive measures – something that core allies to the United States are not keen to undertake. This creates a unique problem for Asia’s export giants as they continue to balance their need for energy with their geostrategic responsibilities based around an alliance with the United States. Adding further pressure to this situation is the recent statement, signed by more than 90 US senators, calling for additional punitive measures against the Central Bank of Iran. The statement claims that the Central Bank helps blacklisted international firms and foreign governments circumvent the current sanctions. While the suggested penalties would be unilateral, there would be considerable pressure on US allies to implement similar responses.